Workplace accidents causing eye injuries are common. Therefore, it is important to invest in eye protection safety when working in hazardous environments. In general, damage and injuries occur due to the open exposure of the eyes to adverse conditions. As long as the eyes are sufficiently covered using safety glasses or goggles, the eyes will be shielded from danger. If you are uncertain about the right protection for your workplace, you should consider this short discussion on eye safety. When choosing your protective eye gear, it is important to understand your work environment and the potential hazards. 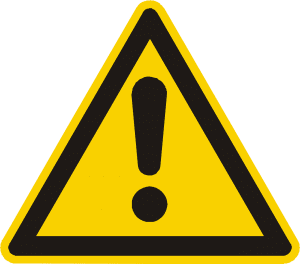 The dangers will depend on the type of operations that are carried out in your residential, commercial or industrial premises. The most common forms of hazards are solid objects and particles. Solid projectiles can cause irreversible harm to the eye tissues, and the damage could escalate into infections and even vision loss. The common projectiles that could be dangerous include concrete, metal, wood and tools. You should also note that particles of dust or similar contaminants will injure the eyes by abrading the cornea. Chemicals will have a dangerous effect on your eyes, and continuous exposure will lead to long-term degradation of the tissues. You will need to guard against splashes of liquid compounds and fumes from vaporized chemicals. 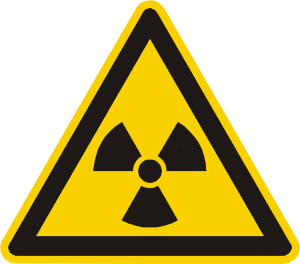 Radiation is a hazard which is often ignored in the workplace because its immediate impact is not as prominent as chemicals or solid projectiles. Unfortunately, radiation in the form infrared radiation, ultraviolet light and visible light will increase the risk of vision loss over time. 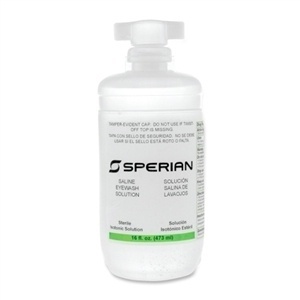 If you work in a laboratory or hospital, you will need to guard against infections pathogens. Disease-causing microorganisms can infiltrate eyes through blood and other body fluids. Your eye protection safety plan for your workplace should begin by evaluating the worksite and understanding the specific hazards. Then, you should eliminate dangers which can be avoided before starting work. For instance, you can limit the risks posed by projectiles in industrial spaces by using screen protection, machine guarding and engineering controls. Finally, you must choose the right eye gear for personal protection. There are two primary types of protective eyewear for workplace applications: safety glasses and safety goggles. Both of these are beneficial for shielding, but they are not both suitable for all applications. It is important to make a comparison before choosing the best item for your needs. For most workplaces, safety glasses will suffice for worker eye protection. In general, this type of gear is designed to provide impact protection from solid projectiles. If you need to keep your eyes safe from flying objects and debris when working, you should opt for eye glasses. Typically, the lenses and the frames are tested to withstand tough objects like steel balls. Therefore, you do not need to be concerned about eye injuries. It is also important to note that safety glasses are comfortable for long-term wear. Safety goggles provide superior, all-round protection against workplace hazards. In addition to solid projectiles, this type of eyewear will keep the eyes safe from small particles, liquids and fumes. Unlike safety glasses, goggles do not have gaps around the bottom, top and sides. Instead, the eyewear will form a tight seal around eye area of the face. Safety goggles are ideal if you are concerned about chemical exposure, infectious pathogens, metal filings and dust. There are different types of safety goggles on the market: direct vent, indirect vent and unvented goggles. You must choose the right protective product to guarantee optimal protection in your workplace. The protective eyewear is designed with multiple perforations to allow for ventilation. The holes prevent fogging of the goggles. Unfortunately, the design limits the protection provided against small particles, liquids and vapor. Like the direct vent eyewear, these have perforations. However, the venting holes are covered, limiting the flow of liquids and particles. The ventilation will provide vapor protection, but the effectiveness will be limited. However, the eyewear will be susceptible to fogging. Choose anti-fog lens to minimize the rate of clouding. Safety apparel appropriate for your workplace. In any given work environment, safety is one of the biggest concerns. How do you keep your employees safe from any dangers or hazards at work? One of the best ways is by appropriately incorporating safety apparel into their uniform. Safety apparel is a type of personal protective equipment (PPE). While personal protective equipment ranges from protective eyewear to hard hats and safety apparel. Safety apparel by definition is clothing designed to protect from injury or infection. Do Your Employees Need Safety Apparel? If you are having to ask yourself, “do my employees need safety apparel?,” chances are they do. Safety apparel is very important for employees who are working in low visibility areas. This can be construction sites, doing roadwork, rescue workers, fisherman and more. Whenever you or one of your employees are stepping into a space considered dangerous, it is important to have on safety apparel. This clothing should be comfortable and not too loose on the body. The fit of the safety apparel is incredibly important. If safety apparel does not fit properly, in either extreme, it could lead to dangerous exposure and contamination or machine snag hazards. It is important to properly train your employees on how to wear this safety apparel properly in accordance to your work environment. It is important that the color of your safety apparel provides contrast to your work environment. If you are working on the side of a highway it might not be the best idea to get a green or blue colored safety apparel. Something like yellow or orange would be better for higher visibility. There are proven studies that if a person has on a fluorescent garment that can be seen at a distance,it draws attention to that person and makes them stand out from the rest of the background. Class 1 garments: These class 1 garments are for employees working directly with traffic and moving vehicles that are moving no faster than 25 mph. For example, parking lot attendants, employees working in a warehouse where equipment is present or employees retrieving items from parking lots. Class 2 garments: These class 2 garments are for employees who are involved in work activities with aggressive weather conditions or conditions more elevated then class 1. For example, forest rangers, construction on a highway with cars going faster than 25 mph, airports attendees and emergency responders. Class 3 garments: These class 3 garments are for employees who need high visibility and might be involved with extremely hazardous situations. For example, survey crews, towing operators and working in extremely dangerous weather. Safety pants (for thermal or rain use), safety sweatshirts, windbreakers, and insulated bomber jackets are parimy safety supplies for many industries and companies. Keep warm, safe, and seen with HiVizGard Safety Apparel and workplace outerwear. ­­­­­­­­­­­­Where Can I get Safety Apparel? Harmony Business Supplies can assist with your safety apparel needs. You can shop our selection of ANSI compliant safety apparel on our store. Our Class 3 apparel is water-resistant, with retro-reflective stripes on the front, back and sleeves so your employees can be seen at all times. Our safety apparel comes in a selection of colors and sizes range from M-4XL. Call us at (800) 899-1255 or chat with us today to place your safety apparel order or learn more. Eyewash stations are used in workplace environments where potential irritants could lead to eye injuries. By law, research laboratories, production facilities, and medical environments are required to have eyewash stations in place. While designed to keep workers safe, they could pose serious health risks if maintained improperly. According to OSHA, eyewash stations that aren’t being regularly maintained could contain potentially dangerous organisms. This puts employees at risk for developing eye and full body infections. 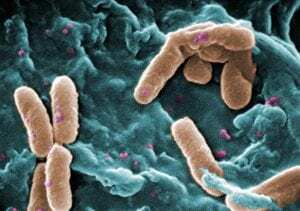 Pseudomonas, for instance, is a deadly bacteria species known for causing serious health complications. An infection that begins in the eye could spread through an individual’s bloodstream to the other tissue, including the skin and lungs. This is just one type of harmful substance which could be lurking in your eyewash station. Can You Prevent Eyewash Contamination? First, it’s important to identify the type of eyewash system your company uses. Plumbed eyewash stations feature plumbing components like spouts. They should be activated each week to ensure proper working order. And to clear away any buildup that could accumulate over time. There are also eyewash solutions that don’t require any plumbing. Called self-contained eyewash stations, these systems can provide a stream of eyewash to the user for 15 minutes, as mandated by OSHA. They can also be installed quickly and easily in a convenient location. There are also durable self-contained stations. These are ideal in a wide variety of settings, including remote plant areas and construction sites. To ensure compliance, self-contained eyewash stations should be serviced according to manufacturer instructions. One of the most important factors to remember is that the saline solution they contain does have an expiration date. Some have 24-month shelf lives. Others can be stored safely for up to 36 months. The expiration date will vary from one type of solution to the next. A final way to provide employees with eye solution is to simply have a small emergency eyewash wall station in place. Many low-risk environments don’t fall under OSHA’s requirement of a steady stream of 1.5 liters per minute available for 15 minutes. These facilities will use a wall station with 16 oz or 32 oz bottles of eyewash. Others may just have eyewash included with their first aid supplies. These too must be changed regularly to provide employees with access to fresh, contaminant-free eyewash. Eyewash should generally be stored at a temperature between 60 and 100 degrees. Different solutions may have more specific storage requirements. To effectively clean or service the station, be sure to follow the manufacturers’ instructions. It’s important to use only solutions appropriate for eye flushing in your stations. Avoid risk of serious injury by using the proper solution. 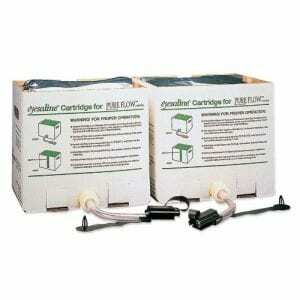 If you have a need for eyewash stations or refill cartridges/bottles, Harmony Business Supplies can help. Take a look at our selection of eyewash equipment on our website. Or contact a product specialist for assistance. Under the right circumstances, virtually anything could become hazardous in the workplace. 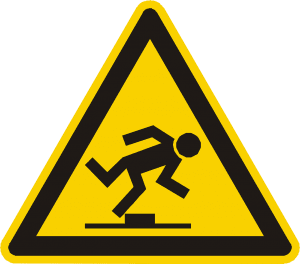 With sensible employee behavior and workplace conditions, however, the workplace hazards that the Occupational Safety and Health Administration (OSHA) warn against fall into just five main categories. We’ll review them below, and provide suggestions for mitigating dangers for each. 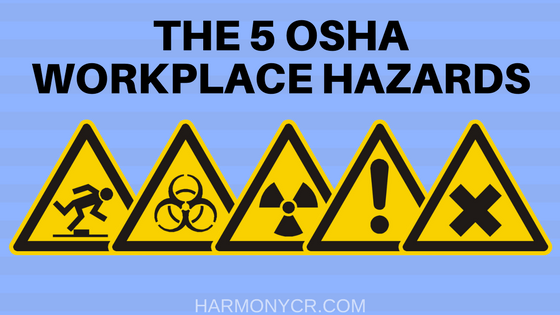 These types of hazards tend to be exclusive to specific work environments. Particularly, anyone who works with infectious plants, people, or animals may be regularly exposed to biological hazards. Examples of occupations could include laboratory workers, daycare assistants, and personnel in hospitals, doctor’s offices, or nursing homes. 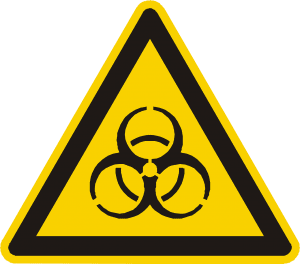 Coming into contact with substances like blood and other bodily fluids, animal droppings, bacteria and viruses, or fungi can put an individual at risk of becoming ill. To minimize these risks, it’s essential that you establish a protocol for handling biohazards and potentially infectious material. Additionally, make sure necessary supplies like disposable gloves are easily accessible. Sorbents can be used to clean up bio-hazards. These powerful granules absorb the liquid, making them easy to clean-up. Physical hazards are environmental factors which can cause injury without direct contact. For instance, radiation, temperature extremes, consistent loudness, and prolonged exposure to sunlight or ultraviolet rays all fall into this category. 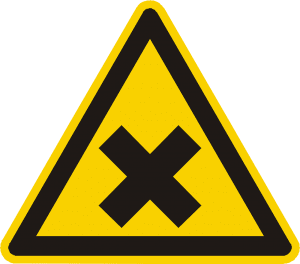 These are commonly considered the most difficult to detect, because signs don’t always present themselves right away.Like the other hazards listed here, reducing your employees’ risk of being exposed to physical hazards comes down to providing protection. Hearing protection, for instance, should be considered mandatory for any individuals working around loud machinery. In settings where MEFs and microwaves are routinely emitted, employers must develop practices their teams can follow to limit exposure. Like physical hazards, ergonomic hazards may develop over time. Back strain and similar musculoskeletal disorders are often attributed to repetitive workplace motions. Even individuals who work desk jobs aren’t immune to suffering from back pain. To combat ergonomic hazards, employers can offer training from specialists to help employees understand the importance of proper lifting techniques and posture. More and more employers are also exploring standing desk options to prevent associates from experiencing health complications associated with prolonged sitting. No matter which types of hazards your workplace has, Harmony Business Supplies has all of the safety gear and products your team needs to stay healthy and injury-free. Browse through their supplies online now, or contact a product specialist to learn more.